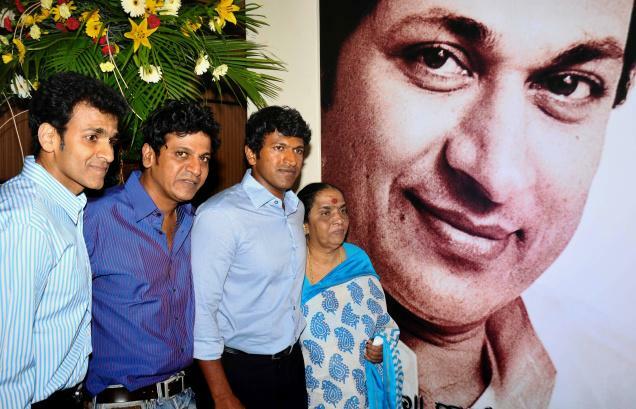 Puneet is the youngest child for Dr.Rajkumar. when he was six months old He started his film career. He study in Diploma in Computer Science. 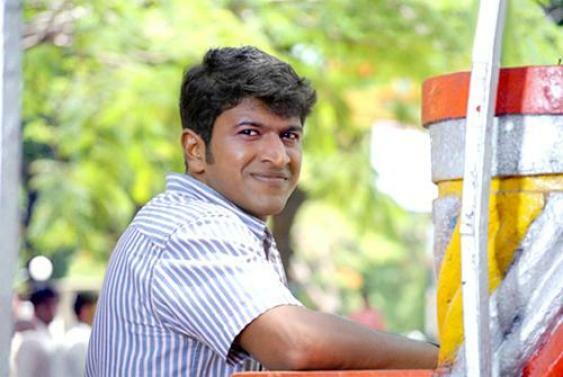 Shivaraj kumar and Ragavendra Rajkumar are his brothers. National Film Award for Best Child Artist for movie "Bettada Hoovu" in1985. Puneet also siging at least one song in all his films. He produced some of the movies and two TV serials. Puneet is the brand ambassador for fSquare, Malabar Gold. He is now the brand ambassador of Royal Challengers Bangalore. Drithi and Vandhita are his daughters. 1985 : National Film Award for Best Child Artist for movie "Bettada Hoovu". 2007 : Filmfare Best Actor Award for "Arasu". 2007 : Karnataka State Best Actor Award for "Milana". 2009 : South Scope - Best Actor Award" Raaj". AKKA Best Actor Award for"Raam". 1 2002 Appu Gurukiran "Talibaan Alla Alla"
2 2003 Abhi Gurukiran "Mama Mama Maja Madu"
3 2004 Veera Kannadiga Chakri "Naire Naire"
4 2004 Maurya Gurukiran "Simplagi Helthini"
5 2005 Rishi Gurukiran "Bandarura Bandarelle"
7 2005 Namma Basava Gurukiran "Rukku Rukku Rukkamma"
8 2007 Arasu Joshua Sridhar "Baaro Baaro"
9 2007 Lava Kusha Gurukiran "Hotappa Hot Sakkath"
11 2008 Vamshi R. P. Patnaik "Jothe Jotheyali"
12 2009 Raam V. Harikrishna "Hosa Gaana Bajaana"
13 2010 Jackie V. Harikrishna "Edavatt Aytu"
14 2010 Mylari Gurukiran "Mylapura Mylari"
15 2011 Shyloo Jassie Gift "Pada Pada Kannada"
16 2012 Sidlingu Anoop Seelin "Barbhad Building"
18 2013 Tony Sadhu Kokila "Pakka Paapi Naanu"
19 2013 Ale Mano Murthy "Solu Nanagagodilla"
20 2014 Savaari 2 Manikanth Kadri "Motu Beedi"
21 2014 Adyaksha Arjun Janya "Adhyaksha Adhyaksha"
22 2014 Aryan Jassie Gift "Kannada Mannina"
23 2014 Power S. Thaman "Guruvara Sanje"
24 2014 Tirupathi Express - "Naanu Righta"
25 2015 Krishna-Leela Sridhar V. Sambhram "Pesal Man"
26 2015 Rudra Tandava V. Harikrishna "Ondooralli"
27 2015 Rana Vikrama V. Harikrishna "Neene Neene"
28 2015 Rocket PoornachandraTejasvi "Thannage Idvi"
29 2015 Uppi 2 Gurukiran "Uppittu Uppittu"
30 2015 Jaathre Manikanth Kadri "Tarikere"
31 2015 Krishna-Rukku Sridhar V. Sambhram "Darling Darling"
yr ar really the powerstar. ofcourse u r a great actor anna.u r the jr.rajkumar.onle defect is ur face personality.try to have modifications and bit of more makeup for ur face.it is needed.because we we need to sit 2.30hrs infront of the screen.so our expectation on screen should appear great personality. PUNEETH I Lv U SO MUCH BECAUSE MY NICK NAME IS APPU AND I FEEL HAPPY WHEN THEY CALL ME APPU BECAUSE I AM UR FAN..........!!!!!!! AS A FAN OF U PUNEETH YELLAARU NIMMANNA BYTHARE YAAKANTHA GOTHILLA SO PLEASE DON'T SELECT REAPETED STORY TRY ANY NICE AND DIFFERNT STORY OK DONT FEEL BAD OK......!!!!!!! As a young boy of 7 years, you were our friend in KUDREMUKHA. We used to swim in KUDREMUKH officers' club's swimming pool.I have 7 years old LOHITH's photo in swim suit( Under wear) with my daughter and me who was 3 years old at that time( Now she is in Pittsburgh, USA). You have clicked our family photos also.I was teaching you DIVING!!! i'm also a great fan of you..
i was happy to read your profile. 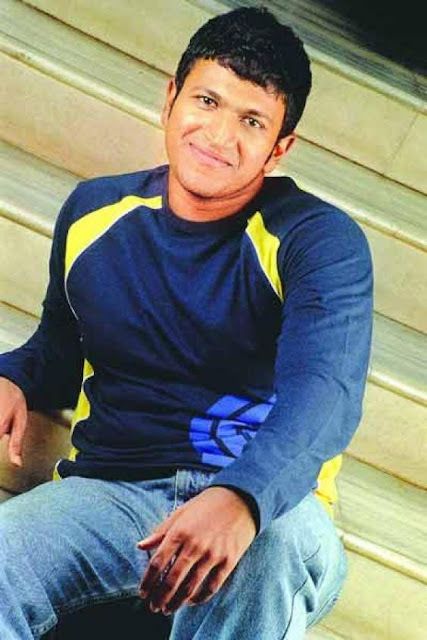 hi Appu,am ramu, am big fan for you, u r really gear actor, nobody can break you in the kannada industry.. all the very best for upcoming projects. i like u very much!!!!!!!!!!! i like u very much sir! Hai sir i am rakesh raichur your all movies super.next power all the best sir. Once see your face in mirror puneeth rajkumar., because your father you and your bother shiva entered in this film industry anyway once check your face in mirror and once walk in road you may see more handsome guys ..
Hi Punith Sir, This is your great fan Krishna Bellary. Through an excellent feedback from all our Northkarnataka people i have writtena story which surely suits to you. kindly contact to the address mentioned below if you are intersted. 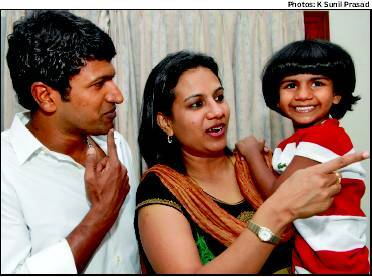 Hi Appu Sir, I am your great Fan, I have a story for you, its a family story written keeping you in mind. I don't know how to contact you. my email ID is coding.golive@gmail.com. Plz mail me. 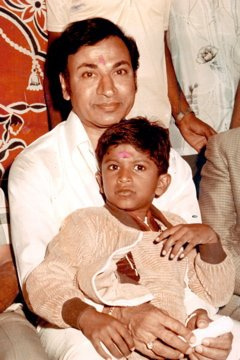 You are the only All-time Film Actor whose all films are watched by me and You will be my favourite all-time Artist as u are son of the Great Dr.Rajkumar. I am your awesome and Great fan M.Dheemanth from Hassan.